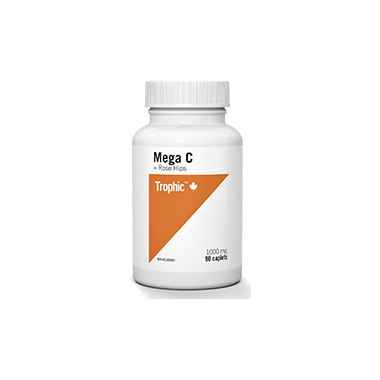 Trophic Mega C + Rose Hips has 1000 mg of vitamin C which is needed for the growth and repair of tissues in all parts of your body. Recommended Use: A factor in the normal development and maintenance of bones, cartilage, teeth and gums. No added yeast, starch, wheat, soy, gluten, sugar, dairy, artificial colors, preservatives or animal products. Trophic provides superior supplements, etc. I was extremely happy with the Vitamin C Rosehip vitamin; great for skin troubles too!